Merck of Darmstadt, Germany are the (lapsed) patent holders of MDMA. The German patent number is 274,350. It was filed on December 24, 1912; issued on May 16, 1914; assigned to E. Merck in Darmstadt; and unearthed decades later by Dr A. Shulgin. The origins of today's global corporate powerhouse, Merck and Co, Inc - and the smaller, independent German-based Merck KGaA - lie in the seventeenth century. 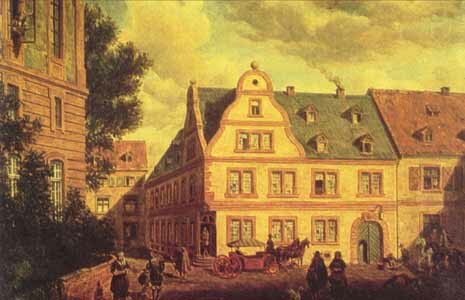 In 1668, Friedrich Jacob Merck, an apothecary from Schweinfurt, acquired ownership of the "Engel-Apotheke" [Angel Pharmacy]. The Merck family have controlled Merck KGaA ever since. Many popular and successful products have emerged from Merck's laboratories. After Sertürner's isolation of morphine from opium in 1805, Merck pioneered (from 1827) the commercial manufacture of morphine for an expanding global market. From 1884 onwards, Merck played a vigorous role too in the production and marketing of cocaine. Sigmund Freud, author of Über Coca (1884), was an enthusiastic collaborator in Merck's coca research, though the methodological sophistication of his self-experimentation studies has been challenged. Merck and Co, Inc, the American mega-corporation, was formerly a unit of the German-based Merck. The unit was confiscated during World War I. The American subsidiary was then formally re-established as an independent company. Under the terms of a legal accord, the German firm can't trade under the name "Merck" in the USA. The archives of Merck KGaA alone contain over 700 shelf-metres of documents. However, company historians of neither Merck KGaA, nor Merck and Co, Inc, give the synthesis or patenting of MDMA any great prominence. Little is known about G. Mannish and W. Jacobsohn, the Merck chemists who stumbled on MDMA. No purpose was specified in Merck's patent filing of December 24, 1912. Merck's patent application was for a styptic medication, a vasoconstrictor known as hydrastinin. MDMA is listed in the application only as a chemical intermediate. MDMA's murky origins ensure its early history is still shrouded in myth and rumour, some of it very colourful. According to one urban legend, MDMA was used in pre-World War 1 Germany as a dieting aid. According to another tale, MDMA was issued to German troops in the First World War as a stimulant or an appetite-suppressant, but the drug was found to dampen the martial ardour of the troops instead. In Christmas 1914, soldiers from both sides did indeed light each other's cigarettes in No Man's Land, exchange souvenirs, sing each other carols, take group photographs, and even play football together. But the soldiers weren't loved-up on Ecstasy; just merry on ethyl alcohol. Scholarly myths and misrepresentations abound too. If Ricaurte's recent "Parkinsonian" monkey studies were reproduced in humans, the casualty toll at an average E-fuelled rave might resemble the first day at the Somme rather than a communal love-in. It transpires that the tormented monkeys were given methamphetamine instead owing to a "labelling error". This confusion is doubly unfortunate because there is substantive evidence that excessive MDMA use is toxic to the serotonergic system. In response to popular and scholarly misrepresentations - and in an effort to dispel the gathering tide of Ecstasy mythology - Merck finally allowed a exhaustive search of their archives in Darmstatd Germany. The results were published in 2006.